Choosing a trusted web host is not about how good the host can handle your website, but also provide necessary support at the crucial time. It is also about maintaining constant uptime as long as possible, and also providing your website the necessary boost so that it loads at a blazing fast speed. Recently I tried out ResellerClub Hosting, and I thought to provide my honest opinions regarding my experience at ResellerClub. First of all, my website was a micro niche blog and I was wanting a cheap shared hosting for the same that can handle my site. ResellerClub gained my attraction after I learned that it provided entry-level hosting for as low as Rs135 per month. As I needed just for one website, this deal seemed quite satisfactory, I decided to try it out. Before I go into details, let me speak a bit about ResellerClub. ResellerClub is a part of Endurance Group, the web hosting giant. Top domain and web hosting companies like Bigrock, Bluehost, Hostgator, iPage, Domain.com, ASmallOrange and 80+ more such companies. It might happen that you are using services from Endurance group without realizing. Go check out Wikipedia for the complete list. Below are the plans you can avail from ResellerClub. Also, we have partnered with ResellerClub to provide you with exclusive discount coupons if you decide to try their plans. Using our exclusive discount coupon code, you can get Flat 40% off on Reseller Hosting plans and Flat 30% off on Shared Hosting Plans on Business or Pro plans. If you are just starting out as a blogger, or want to host your micro niche sites, then shared hosting are the best options for you. Like the name suggests, you share your server with others. Everyone gets to share the hosting according to their needs. ResellerClub Shared Hosting has 3 Plans depending on the type of use you need with the device: Personal, Business and Pro. All three plans have same features, they just differ by the number of domains you can host on the plan. The Personal Plan: It is tailored for Rs235 for a single domain a month. You will get unlimited storage, unlimited bandwidth, and unlimited email accounts. The Business Plan: Just for Rs335 per month, you can host 3 domains with this plan. You will get the same unlimited storage, bandwidth and email accounts. The Pro Plan: Those who need a complete protection for all their sites, the pro plan is great for them. You can host unlimited websites under this plan. It costs Rs440. Among all the plans, the Business Plan will be the perfect plan to choose if you want to run just a few sites. The Pro Plan is the best value for money plan, but you may not want to keep so many micro niche websites under one hosting. Reseller Hosting Plans are best for those who intend to run multiple websites on a single server, while each having their own separate CPanel and are independent of each other. If you plan to set up your own custom server of your office where you can offer your employees separate web hosting accounts then reseller hosting is the best choice for your need. Apart from this, Reseller Hosting gives you WHMCS which is a Web Hosting Management tool, using which you can create, delete and manage web hosting accounts from your root server. ResellerClub Offers 4 Reseller Hosting Plans namely R1, R2, R3, and R4. All plans except the R1 plan includes WHMCS for Free. All plans allow you to host unlimited websites. They differ in the Disk Space and Bandwidth they offer. 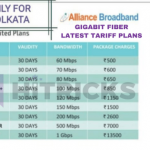 Also, you can try out all the plans with an initial discounted first-month charge of just Rs440. The R1 Plan: It offers 40GB Disk Space and allows up to 800GB Data Transfer per month. The cost is Rs1035 per month for the first term with a renewal rate of Rs1290 per month. The R2 Plan: With this plan, you get 50 GB of Disk Space and up to 1000GB of Data Transfer. Rs1140 is the first term payment rate per month, with a renewal rate of Rs1425 per month. The R3 Plan: This plan offers 100GB Disk space and 2000GB Data Transfer with the first-term rate of Rs1520 per month. Renewals are Rs1900 per month. The R4 Plan: This is the highest Reseller Hosting Plan that offers 200GB Disk Space and 4000GB Data Transfer. The cost is Rs2300 per month for the first term with a renewal rate of Rs2885 per month. ResellerClub provides a 30-day money back guarantee for all your purchases so that you can try out their products with confidence. If you are unsatisfied with any feature, you can get your money back. Just reach out to their customer service. Like you noticed already, ResellerClub doesn’t cap your Disc Space (Storage) and Bandwidth (RAM), but if you are really curious, here’s the fine print for you. ResellerClub promises 99.99% uptime, which is standard. For my brief testing period, I got 100% uptime, but as it was a Demo website, I cannot determine the exact uptime ratio in such an environment in a short span of time. Anyways, with my Demo WordPress Website, and the page loading speed was less than 2 seconds with a simple theme and a few plugins. The server response time I got was 450ms, meaning, this is the time after requesting a page it actually starts loading. This could be a little bit faster. It’s not the best server response time I had experienced. The Entry Process limit is 80, which is fairly high and will easily handle real-time over 150-200 or probably more. This is one good thing, that many other hosts limit to 20 or 30. ResellerClub Shared Hosting provides you with CPanel which is pretty helpful for security features. You can take regular backups of your server data. ResellerClub takes periodic data backups of your server on their own, which you can avail if you request them for the last 7 days backup data. However, there is no auto-backup option available. You can login to your server via FTP which is encrypted and also via SSH if you need to. And finally, you can install your own SSL certificates in your server. (Free SSL Certificates are offered by Let’s Encrypt or SSLForFree) You also get anti-spam, hotlink and leech protection. ResellerClub offers 24x7x365 Support. You can either opt for Live Chat Support for Sales related queries, else email them for your other hosting related issues. Based on my experience, you can expect a response within a few hours. The support team has a good technical knowledge and most likely you will get your queries resolved. So, time for a quick roundup of ResellerClub Hosting. Here you go. If you are in need of a shared web hosting that won't dig a hole in your pocket, then this one is perfect for you. First things first, the server speeds are average, but it can handle a good amount of real-time traffic. Security is top notch, however, auto backups are missing. You can install your own SSL, something some hosts lock for no good reason.